Our equity funding solution helps our clients raise equity through out the various stages of its growth cycle. 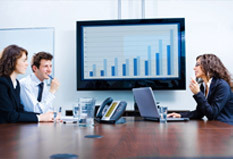 Many corporate require capital to support their growth without increasing the debt burden on their balance sheet and in order to facilitate this MPA acts as an advisor that helping the company raise funds through private placement of their shares to various private equity funds in India and across the globe. Our core private equity team with an average experience of over 8 years along with other functional support teams offers end to end equity advisory solutions to corporate in the need of equity capital. Given our long standing relationship with the blue chip investors we assist the company in capturing the complete value of the organization and the brand. The team has a strong experience in negotiating the investment terms and coordinating the due diligence process which results in the faster execution of the transaction. © 2019, MPA Financial Services Private Limited. All Rights Reserved.